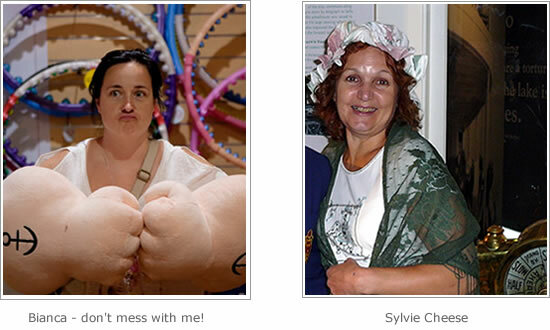 A walk in the life of Prezzybox HQ! Wow! Has it really been 10 chuffin years!!! Blimey. When Julianne asked me to write a fun and light hearted piece on the last 10 years (well, technically the first ten years but you know what I mean) in the history of Prezzybox I didn't know where to begin. Well I did the beginning, but you know what I mean! Part of me felt like giving the corporate spiel about how 'from tiny acorns...' and the way in which we've grown organically to become an award winning website (ahem!) whilst watching many of our competitors going by the wayside, but I'm sure that's been written by every management 'man and his dog' and without putting to finer point on it is.... well... BORING! Research phase Boo.com/Last Minute/Letsbuyit. What did they have in common? All sold for squillions of whilst having absolutely no real value. "We'll have a bit of that thought Johnny E and I " and thus Prezzybox was born. Named by my Nan as it happens. Day 1 Turned up January in our "borrowed" office. Decor was a rag rolled bright orange wall. Nice! No phone, no computer. Just Johnny E and I and an empty office. Reality sets in and we realise it might be a wee while before we make our squillions. Midway through the first year. Our first staff hurrah Bianca and Sylvie Cheese (AKA Girlfriend and Mom) join the fray working from the "satellite office" (my old bedroom!) as chief Designer and Site Editor. At least the wallpaper is better here although the curtains leave a bit to be desired! September. Site Launch. After what seemed like a ridiculous amount of planning and the completion of 100's of pages of System Requirement Specifications with our developers (man that was soooooo boring!) the site launches with our soft launch. I'd like to say it was a soft launch because we are clever marketing bods, however it was mainly because the site wasn't fully finished and we didn't want to launch without some of our whizzy new features such as the Wish List and the Gift Reminder Service. 14th September site launch. Prepare for the floodgates to be opened and orders to pour in by the bucket load. October. Reality set's in as we only get 1 order every 2-3 days. I'm thinking our millions, might actually transpire to be millions of Turkish lira as opposed to pound sterling. In2net logic (our development company) go bust. Smashing! I'd like to say we "liked them so much we bought the company" but in reality we had no choice we were shop keepers not techies. Employee number 3 John Makin therefore joins the fold as chief techy and aside being a splendid techy he keeps us amused with his ridiculous facial hair and front crawl across the office. I kid you not. We move en masse (well me and Johnny E) from the Orange clad office to the satellite office as it's much nearer home. In fact, for JE it actually is home! We start actively begin promoting Prezzybox and sign up as an Merchant with Affiliate Network Affiliate Window and launch a PPC campaign with "espotting" and "overture" (remember them marketing geeks? ), the precursors to Google Adwords. 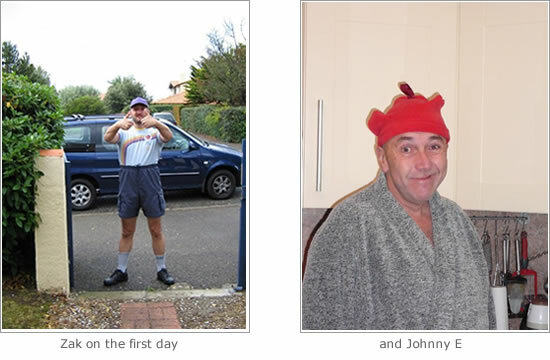 In one of his less defining moments John forgets to register the domain name and we lose it for a few days. Twitchy bum time! All's well that ends well though and we're back on track. Cherry joins the team in customer services and we start to feel like a proper company. After our groundbreaking ideology of being a "virtual shop" and not carrying any stock (having it all shipped from the manufacturer direct to the customer) we accept reality and realise that we need to keep the products and send them out ourselves! The stock room (old spare bedroom) fills up with everything from Fisher Space Pens to mini Remote Control cars. The farmhouse next door comes up for sale. We buy it and begin to renovate it for our new offices. Lovely jubbly. 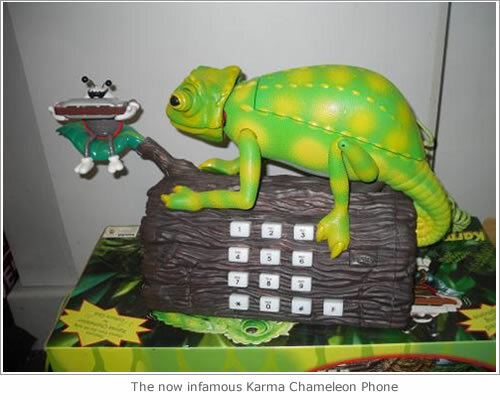 Christmas and the "infamous" Karma Chameleon Phones are launched. We spend 20k which we haven't got on stock as Johnny E is convinced they are "gonna be big". The stock that is due at the end of September actually arrives on the 16th December and Bianca and the guys frantically get them ALL sent out. 3 days later we start to get returns of the dodgy phones, which results in us getting 25% of these back. Funniest complaint... Every time a man pressed the demo button his phone dialled 999. This only stopped when the police contacted him! Eeek! Our team numbers swell with the introduction of Tony (chief techy to replace John), Sharon in customer services and a young placement year student Ben. 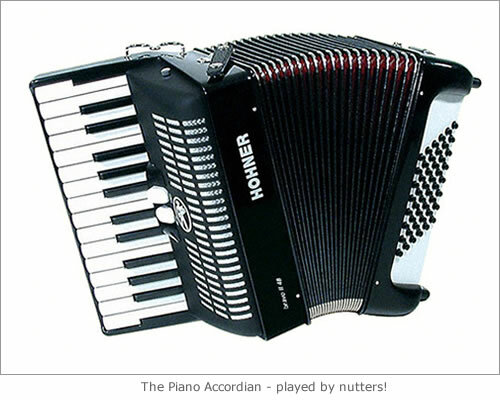 We have a brief flirtation with outsourced accounting until we realise we've just employed a much too vocal nutter who has a fascination with the piano accordion. Cheerio nutjob! Jean joins the fold as our book keeper. Move into our swanky new office on the same weekend that England win the rugby World Cup I missed the lot. As it was the farm next door we had to carry everything over by hand. A killer! 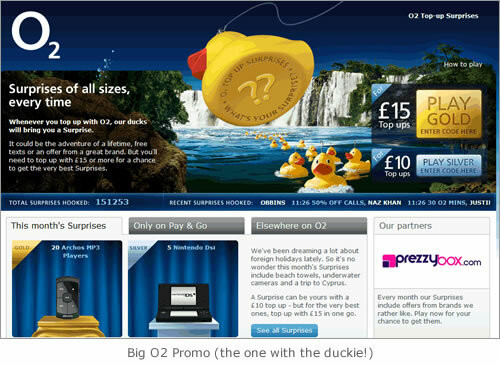 In 2004 we launched the 2nd version of Prezzybox getting a little nearer to where we are today. Sticking with the family theme Barney (my bro) joins the team from Boots as our head buyer. It would appear that not a lot else happened!! Polly Pocket joins the team. She's in charge of barking at horses and sending newsletters. Can't cope with Christmas tooooo busy - Our tiny team are sending out up to 700 orders a day. It's mental. We've got stock on the top two floors of the farm house and I'm concerned that the weight of the 100's of Pole Dancing Kits is going to go through the floor. We have to carry all of the stock into the building from the delivery lorries by hand. On Monday morning we have 100's of postal bags and boxes throughout the whole office kitchen, toilets everything. I think we need a warehouse! Team up with Ipoints as our redemption partner. 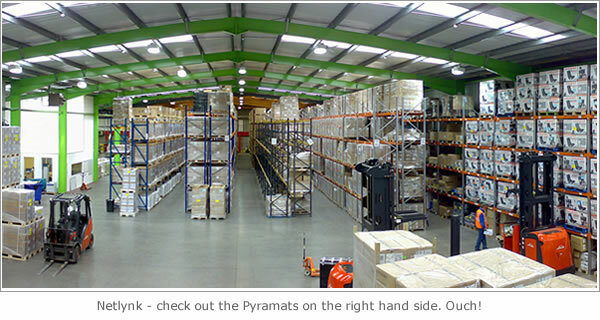 After trawling the country to find a company to do our fulfilment we finally settle for a company in Oxford. After starting the implantation programme Johnny E gives me a fag burnt beer mat with some details of a Fulfilment House just up the road from some "geezer" he met in a pub. We talk, I visit. Now, I'm not saying "If Carlsberg did fulfilment houses..." but I have to say that these guys were "da bomb". Where do we sign up? 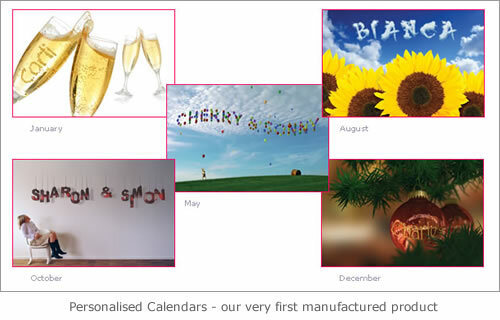 A month later Netlynk are doing all of our fulfilment, which marks the start of a blossoming relationship. Following the family theme (again!) Uncle Colin and Auntie Sue come to work for us in Customer services. We launch version 3 of the website on the 22nd September. Wow! Can't believe we did it that close to Christmas!!!! I wouldn't dream of doing that now! We are the first company in the UK (and possibly the World) to produce video banners for our marketing partners. GO ON! Win our first awards Kerching! Dani, Nikki, Becky, Debbi and Kat join the team full time. We had to get rid of Kat as her name didn't end with an "ee". Joke! 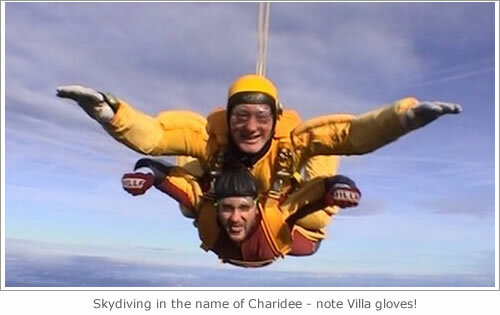 We do a big old charity event which results with Becky and I throwing ourselves out of a plane, a number of team getting tattoos and a few of us cycling miles every day all in the name of Charidee ! 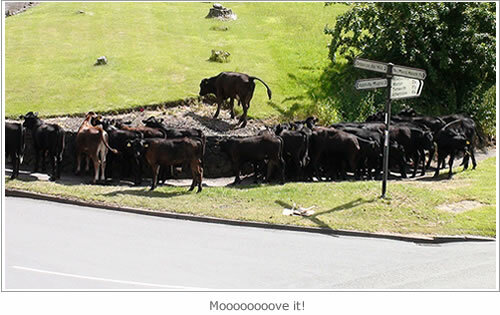 Cows invade the local village! Literally. 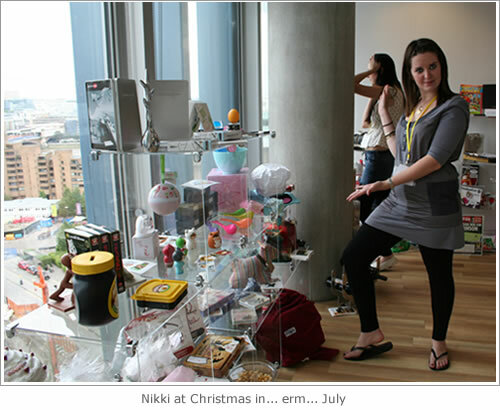 Our first ever Christmas in July show, where we show all our goodies for Christmas to journalists in... erm ... July. We start to accept Paypal as a business and wonder why we didn't do it sooner! Ben learns the hard way how to Pole Dance. 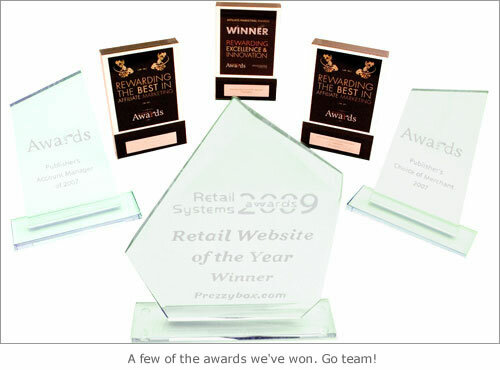 Lil old Prezzybox voted IMRG retail shop of the year. Our finest hour!! Even more awards! Phew this is getting exhausting!! Pants Day for charity. Polly and the team get involved. Deena joins as a new techy a girl techy??? Brilliant!! 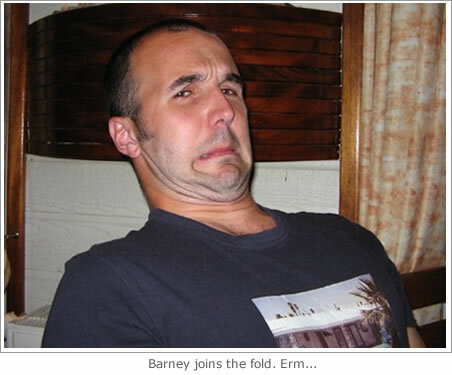 We also employ another family member as Amanda (Barney's wife) comes on board as our analyst. 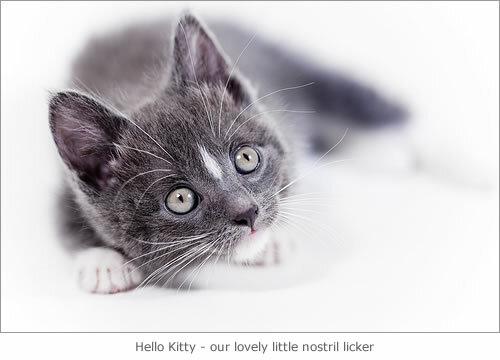 Kitty joins the fold as chief mouse catcher and nostril licker. Christmas is really successful over 2000 orders a day which is really pleasing! Big change with staff! Ben, Kat, Dani and Bianca (which is very sad for me) all leave whilst Julianne comes in as our Marketing Director and General Manager. 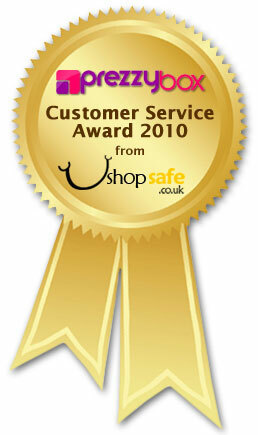 First EVER winners of the Shopsafe Customer Services Awards for excellent Customer Services over Christmas. Go team! Burger King promotion Gonna be huge!!! Shortlisted for the "Greats Award" and the A4U Merchant innovation awards. No winners, but we felt it was time to give everyone else a chance. We invest in a whizzy new back end admin system which we are all very excited about. Geeky I know, but 'hey' that's the way we roll! Sales are up 34% bucking the recession trend. Roll on Christmas. So there you have it, a brief look at the first 10 years at the Mighty Box! I really hope that the next 10 years is equally as exciting. We've been really lucky to have a great team and working environment and I really hope we continue with this ethos and working way of life in the future..